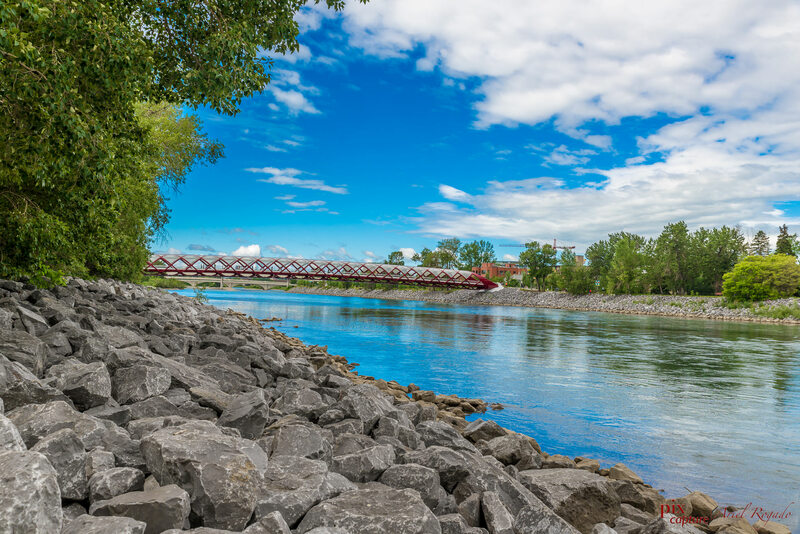 Directions: Peace Bridge is within Downtown Calgary and about 20 min drive from the Calgary International Airport, taking Airport Trail east then Deerfoot Trail south, right to Memorial drive onto the 4t St Bridge. Peace Bridge, now a Calgary icon was designed by a Spanish architect and opened in March 2012. Its a pedestrian bridge crossing Bow River, it also accommodates cyclist. It’s beautiful design attracts many tourists and a favourite location for wedding photography. Nearby is the Prince’s Island Park where numerous activities, festivals, concerts are held.